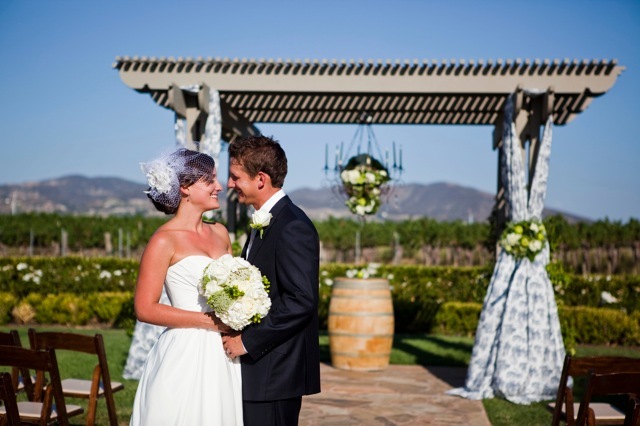 Blue toile fabric makes this apple green and white wedding pop! Ponte Family Vineyard makes a lovely backdrop. 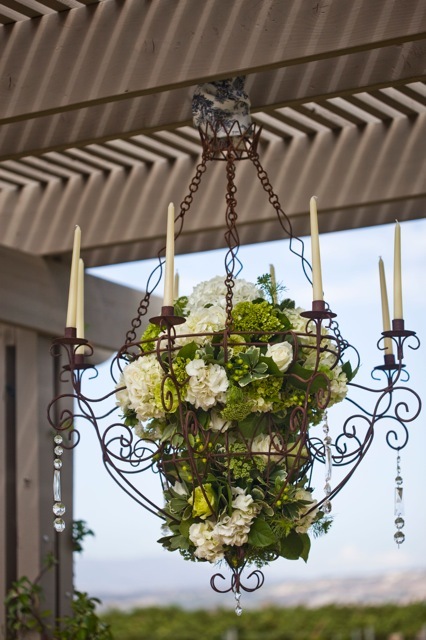 Vintage chandelier gives the finishing touch.